Lock in a great price for Saint George Hotel – rated 8.6 by recent guests! 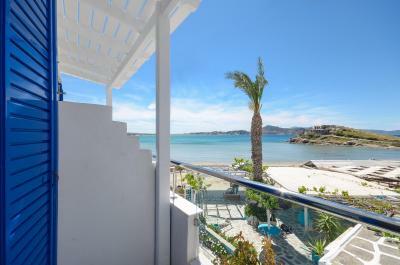 The location was perfectly on the beach but also only a few minutes walking from various restaurants and supermarkets. The walk was less than 10 minutes from the port and the rooms had a beautiful view of the water. 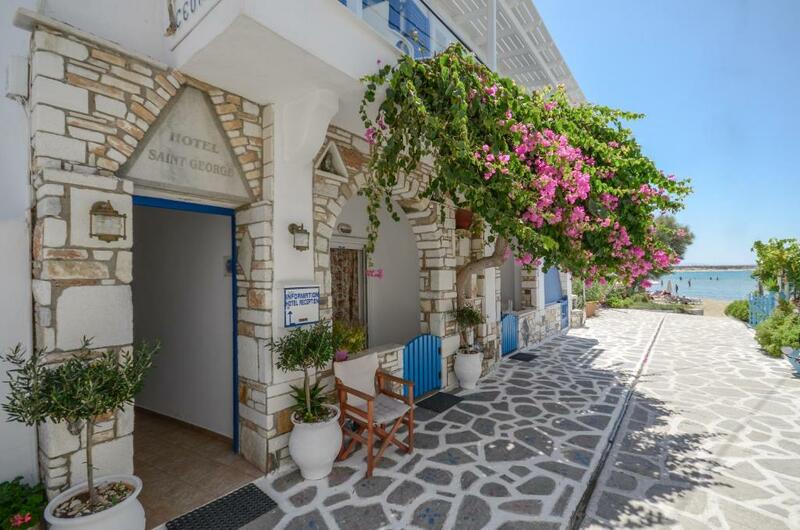 This is a nice clean comfortable hotel about a 10 minute walk from the ferry terminal on Naxos and a minute walk to the beach. My room was comfortable, clean, had been remodeled at some point, and was spacious. The staff is helpful and I had a good and comfortable stay. 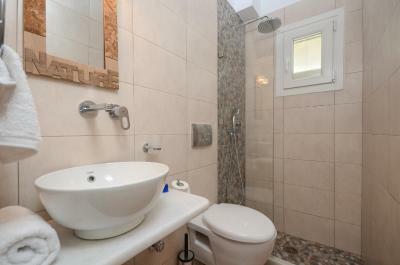 Wonderfully clean place with a view of the sea, close to town but also right on the beach. Tony was so friendly and welcoming and even gave us a bottle of his grandfather’s wine. We didn’t want to leave! Great location, just a few steps away from the beach. Lots of restaurants within only a few minutes of walking. Free public parking, if renting a car, is only 500 steps away. 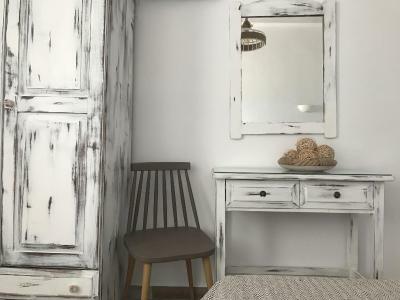 Nice little but very basic studio, nothing luxurious or extra and very simply furnished. Nice view from top floor studio, even though it wasn’t the corner one (except for the ugly telephone pole with wires, smack in the middle of your view!). Front desk lady was nice, but it did not feel genuine. They can arrange a car rental for a decent price. They also have a couple of small cheap beach umbrellas you can borrow anytime. 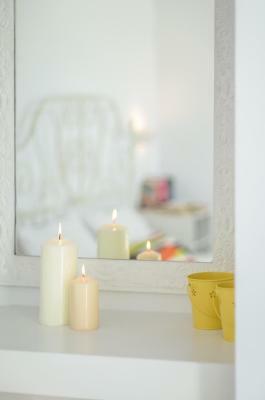 For a vacation destination the property had a great location with a staff and facilities that met all our expectations. It was located right at the beach with food and drink options just outside our front door. The staff were over the top on courtesy and doing everything they could to make our stay enjoyable. The facilities were as advertised and expected. fantastic location, very friendly, useful welcome email with details, great welcome -- would recommend the slightly more expensive rooms in higher floors, for extra view. 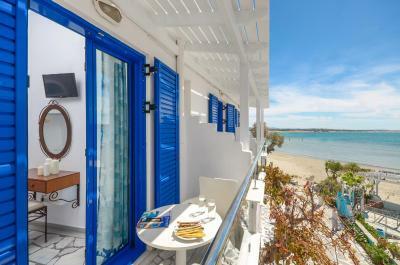 Fantastic small hotel on the best beach for families in Naxos Chora. Unbeatable design. the staff were very friendly and welcoming. The best thing about the hotel is that it is steps from the beach! Rooms on level 1 is facing the sea. Great service and very helpful family run hotel. Always smiling and wanting to help with Genuine advise. Definitely recommend. One of the best places on the perfect beach you can find for the money. Maria and staff amazingly friendly and helpful. Some of the nicest hotel staff we have ever met and we travel a lot. Room spotlessly clean, quiet, and close to many dining options. 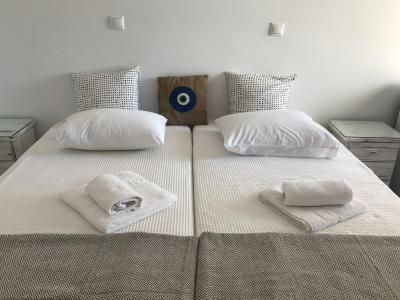 One of our top picks in Naxos Chora.Saint George Hotel is perfectly situated just 30 feet from the golden sandy beach of Agios Georgios Bay, in Naxos' main town. 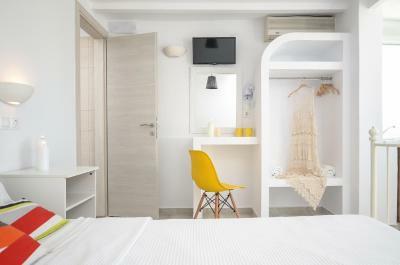 It offers rooms with balcony and free Wi-Fi access. 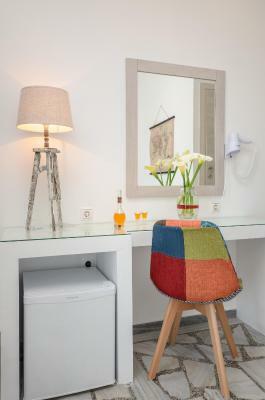 All rooms at Saint George are equipped with air-conditioning, refrigerator, satellite TV and private bathroom. Some units also include a kitchenette. 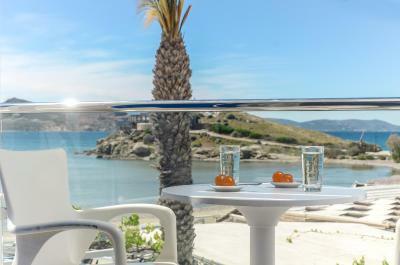 The hotel is right next to the many restaurants, seaside bars and mini markets of the town. Within a few feet, there is a bus stop with services to the rest of Naxos island. 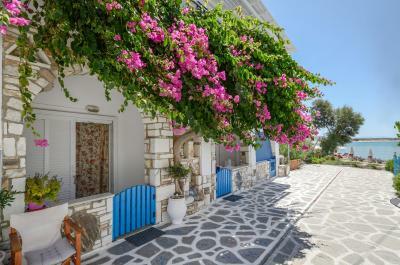 Naxos Airport is a 5-minute drive away. On-site parking is provided free of charge. 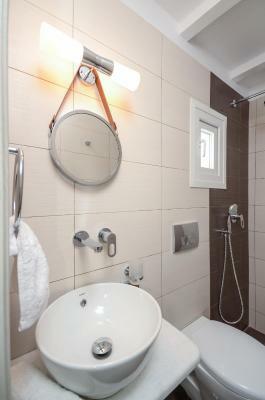 On the upper floors this room features air-conditioning, fridge, satellite TV and private bathroom. Includes free Wi-Fi and private balcony. 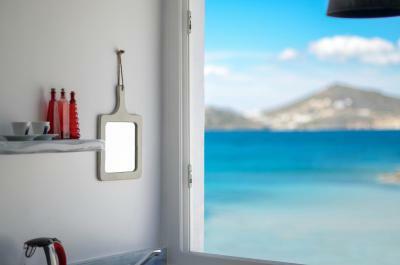 On the upper floors this room features Aegean Sea views, air-conditioning, fridge, satellite TV and private bathroom. Includes free Wi-Fi. 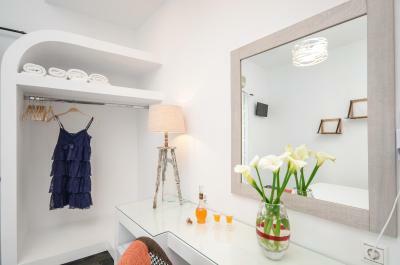 This double room features air conditioning, electric kettle and patio. This studio has a kitchenware, electric kettle and sea view. 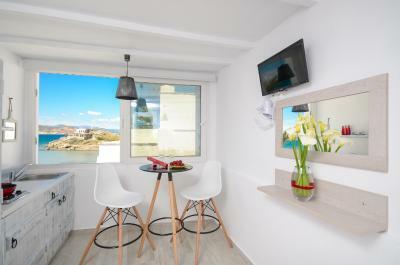 This studio features a kitchenette, sea view and kitchenware. Highly rate this place! All Staff/the family, were super friendly and helpful. Answered all the questions we threw at them. Place is in a great location close to the beach and city centre (without it being too close) The place is well kept and clean. Bathroom showerhead pressure is great. Bed was comfy. Room came with air con and fridge. I stayed at the top leveled rooms and it has a pretty amazing view of beach and sunset. I really don't have any complaints or problems at this hotel. Nothing really! You didn’t need to change all the towels every day but it was nice nonetheless! The room could have been cleaner, especially the floors which never felt properly swept or cleaned. 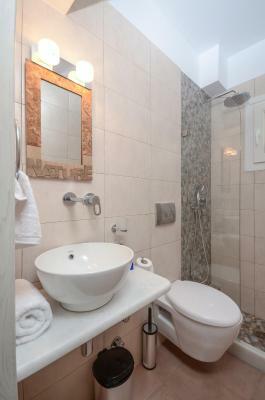 Bathroom in our unit was very very small, no room to put down toiletry and no partition between shower and bathroom, so everything got soaking wet every time we took a shower. The bed was uncomfortable and too hard. We stayed five nights in a sea view studio and were disappointed when we didn’t get the corner one. When our neighbors checked out the following day, we kindly asked to be moved to the corner studio, since we still had four more nights to go. We were told it was impossible which really puzzled us. When pressing for a reason (she was VERY reluctant to say why) we then learned that the top corner studio is rented through Airbnb and is basically never available for guests who reserved through Booking.com, which feels like a scam since they do put pictures of that specific top corner studio as available when reserving through booking.com. Unfair and bad business practice. Upon checking out, the front desk lady gave me the final price in euros, to which I agreed. She then proceeded to convert the total to US currency, adding a 3% markup, without NEVER, I repeat NEVER telling me or asking if it was ok to do so. I only found out when I got my credit card bill upon returning home. This is a sneaky and very dishonest way to make extra money on the back of tourists and I highly resent such practice. Because of their overall dishonesty I cannot recommend this hotel. 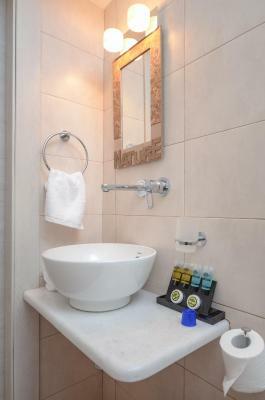 Staff were very friendly and accommodating, excellent location, room was bright and clean. We had room 5. 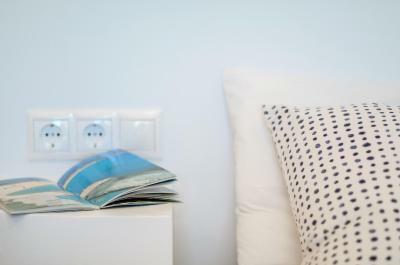 The bed faced the balcony and occupiers in other room could look into your room and bed. No privacy. Need to have the curtains drawn while changing and sleeping. Can’t leave the balcony door open during the nite for fresh air though the beach is only 10m away Bathroom is very small. The floor gets wet after A shower and it is very very limited in space- approx 2m x 1.1m We used our room to keep our bags. Left fairly early and came back at nite to sleep. This is a not a room for one to chill or rest. 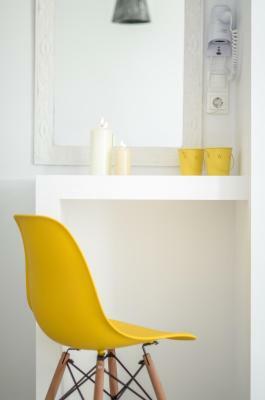 Overall, the furniture was cheap and the room, particularly the bathroom was really tiny. One could move around with difficulty and frankly, the photos posted are a bit deceiving. What troubled us more was the quality of the water. It had a strange brownish color. 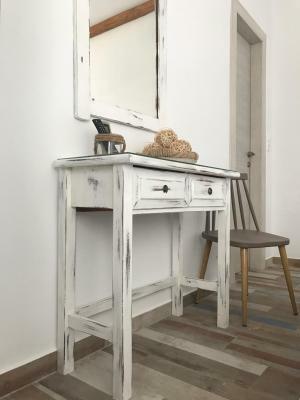 When inquired, we were told that it was a problem for the whole Naxos island and were advised that we could shower but not brush our teeth with it. This seemed strange as we heard no other people complaining and we believe it were the case, it should have been a matter of public notice. The issue was not fixed for as long as we were there. Anyhow, this was rather disappointing and we feel we were greatly overcharged. We stayed for four nights, 5 - 9 September and we payed EUR 135 per room per night. The location was OK and the staff were polite. Bed was a little uncomfortable and the bathroom a little to small ! Locations was great !! All we had to do was walk out front door and the beach was right there !! Staff was amazing so kind and very helpful ! !